The public and the Michigan Legislature need to get on the same page regarding school funding. While 70 percent of citizens who responded to a new statewide poll feel K-12 schools are under-funded, the Legislature continues to shift money out of the School Aid Fund into higher education. A new poll commissioned by the School Finance Research Collaborative and performed by nationwide research company Greenberg Quinlan Rosner Research shows widespread support for changing the way we fund Michigan's schools to make it fairer and meet the individual needs of all students. 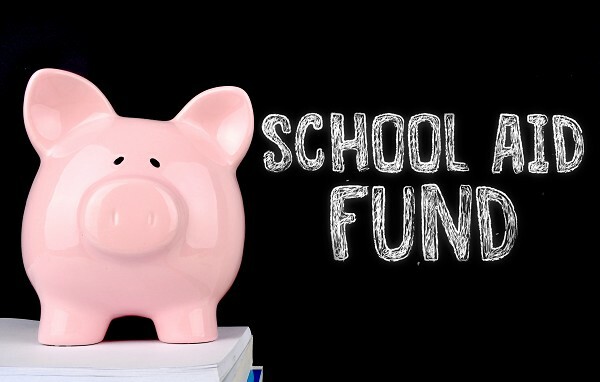 Next week, the Michigan League for Public Policy will be releasing a new report on the Michigan Legislature's continued shift of School Aid Fund money away from K-12 schools to higher education. Since 2009, the Legislature has shifted a total of $4.5 billion intended for K-12 public schools to universities and community colleges, including a record $908 million for the upcoming budget year. "This important statewide survey shows that Michiganders of all political stripes agree the way we fund Michigan's schools is unfair and needs to change," said Dr. Wanda-Cook Robinson, School Finance Research Collaborative member and Oakland Schools superintendent. "Our new poll should be a wake-up call for policymakers on both sides of the aisle, and both current policymakers and those seeking elected office need to use the poll and the School Finance Research Collaborative study as a roadmap for a new, fairer school funding system." "It's time for a new school funding system that meets the unique, individual needs of all students, whether they are enrolled in special education, live in poverty or attend school in geographically isolated areas," said Dr. Michael F. Addonizio, School Finance Research Collaborative member and Professor of Education Policy Studies at Wayne State University. "This survey shows that voters across Michigan want us to replace Michigan's current one-size-fits-all school funding system with a more individualized approach that serves all students, and the School Finance Research Collaborative study provides the building blocks to do that." "Our research also shows us that Michiganders want a new approach to school funding that helps prepare all students for successful careers -- and not just those who go on to a four-year college," said Matt Gillard, School Finance Research Collaborative member, and president and CEO of Michigan's Children. "A new, fairer school funding system will ensure all students have the opportunity to go on to technical school or apprenticeships, as well as college, and get good-paying jobs right here in Michigan." Earlier this year, the School Finance Research Collaborative completed Michigan's first comprehensive school adequacy study that determined the true cost of educating all students to make the way we fund schools more fairly. The School Finance Research Collaborative is a diverse group of business leaders and education experts, from Metro Detroit to the U.P., who agree it's time to change the way Michigan?s schools are funded. Learn more about the School Finance Research Collaborative at www.fundmischools.org, and on Facebook and Twitter.